Ministers have rejected a crackdown by the Scottish Environment Protection Agency (Sepa) designed to protect the health of people living near the Kinneil oil and gas terminal on the Firth of Forth. Instead they upheld an appeal by Ineos after a government inquiry concluded that Sepa’s restrictions were “unreasonable”, “irrational” and failed to take account of the impact on the company’s business. The government’s decision has been condemned as “terrible” by environmentalists who say it’s a victory for “corporate profits over protecting communities”. The government has insisted that Ineos has to “make progress” on cutting flaring noise. The Ferret reported in May 2018 that Ineos was trying to block a move by Sepa to limit the noise from night time flaring at Kinneil to below 54 decibels. Ineos bought the ageing terminal from oil multinational, BP, for £186 million in October 2017. Sepa had officially rated the terminal’s pollution performance under BP as “poor” for 2014, 2015 and 2016. There had been multiple breaches of its operating permit and repeated complaints from local residents. The Scottish Government appointed its planning reporter, Martin Seddon, to assess the Ineos appeal against Sepa’s restrictions. His report found in favour of the company and has now been endorsed by Scottish ministers. As a result Sepa’s proposed 54 decibels will not be a “limit” which has to be complied with. Instead it has become “an objective which is to be attained” through an Ineos improvement programme. Seddon pointed out that Kinneil, part of the Grangemouth refinery complex, processes half a million barrels of crude oil a day from 80 North Sea fields. That’s about 40 per cent of all the UK’s crude oil. Excess gas is burnt off by flaring, either at ground level or from stacks. The injection of steam for stack flares creates a noise “likened to that of a jet engine,” said Seddon. He accepted there was “no doubt” that elevated flaring can “potentially cause loss of sleep to members of the local community with all the attendant health issues”. But that was outweighed by the “wider business, economic and environmental implications”, he concluded. Seddon quoted a report commissioned for Ineos saying that shutdowns caused by Sepa’s restrictions would reduce revenue and earnings for upstream users by £112 million a year. It would also cut £19 million tax revenues for the UK government annually. Seddon criticised the six-month deadline imposed by Sepa on Ineos as new owners as “premature”, “unreasonable” and “unrealistic”. To crack down on Ineos after failing to constrain BP “appears to me to be illogical and irrational”, he said. He accepted the argument by Ineos that shutting down the Kennel terminal to avoid noisy flaring could be seen as “unreliable” and lose customers. “I find that Sepa did not take these wider business, economic and environmental considerations into account,” he said. Seddon did, however, reject a bid by Ineos for Sepa to pay the company’s legal expenses. “Sepa was acting in the interests of protecting the local community from significant adverse effects of noise from elevated flaring,” he said. In a letter to Ineos lawyers on 22 March, a deputy environment director at the Scottish Government, Donald McGillivray, said that ministers had carefully considered Seddon’s report. “They agree with the reporter’s overall conclusions and recommendation and adopt them for the purpose of their own decision,” he wrote. Friends of the Earth Scotland pointed out that a compulsory restriction on night time noise had become a voluntary objective. “This is a terrible decision which puts Ineos economic interests ahead of the protection of the local community,” said a campaigner with the environmental group, Gavin Thomson. Scottish ministers have also backed another Ineos appeal allowing the company to move towards closing the A904 road which runs through the Grangemouth complex. This was despite a recommendation from a government reporter to turn down the appeal. 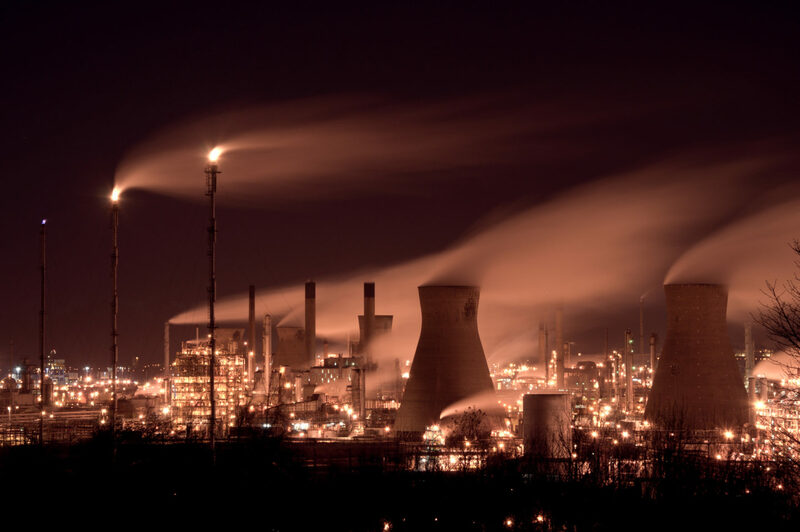 Ineos has also threatened to close a manufacturing plant in Middlesbrough unless it is allowed to “defer compliance” with European Union rules to prevent air and water pollution, according to Unearthed, a group of investigative journalists funded by Greenpeace. Ineos is an expanding £45 billion fossil fuel company, headed by the UK’s richest man, Sir Jim Ratcliffe. It runs most of Grangemouth and the Forties North Sea oil pipeline system, and has pursued major fracking developments in central Scotland and England. Grangemouth Community Council welcomed Sepa’s efforts to cut noise from flaring at Kinneil. “There is clear evidence that this is an issue that should have been addressed much earlier which makes any delay in resolving the issue concerning,” said the council’s vice convener, Walter Inglis. Sepa stressed that non-compliance with environmental rules was non-negotiable. “Against a four year background of ‘poor’ or ‘very poor’ compliance at Kinneil terminal, Sepa moved in late 2017 to vary the site’s permit to protect the local community from the impacts of flaring,” said chief compliance officer, Ian Buchanan. The Scottish Government was backed by the SNP MSP for Falkirk East, Angus MacDonald. “I can understand the frustration of environmentalists however it must be stressed that Ineos are not getting off lightly here,” he said.